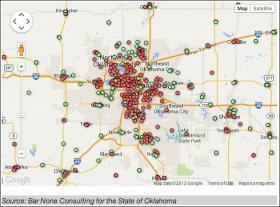 Click around and explore the map at the StateImpact site to see the storm shelter status at your school. Green dots have shelters — red dots don’t. “That means there are more than 506,000 students, teachers and staff everyday in the state of Oklahoma, in the school system, that are exposed to the possibilities of tornadoes causing death like they did in the Plaza Towers school system,” survey administrator Mark Nestlen said at a Sept. 26 news conference announcing the survey release. What the data show: Administrators at every public K-12 school district responded to the survey. School officials were asked whether their school had a shelter, where it was located, what it was made of, and if it was built to modern FEMA standards. The survey also asked school administrators to comment on how shelters were funded, whether schools had been damaged by storms, if the school had construction plans in the next five years, and whether the school had any remaining bond capacity. Administrators at many school districts say they can’t fully fund storm sheltersbecause their bond capacity is maxed out. Limitations of the Data: This is a survey, not an academic study. “If a principal said they have a storm shelter, we took their word for it,” says survey administrator Nestlen. The survey also doesn’t include private schools, colleges and universities, or vocational schools. Note: StateImpact mapped the data compiled by the consulting firm, which provides a good overview. But zooming in beyond city level appears to show error in some locations, specifically when it comes to the precise location of each school. 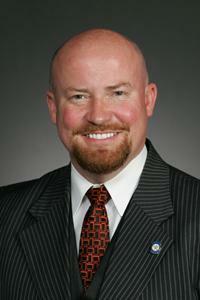 The survey was commissioned by state Rep. Joe Dorman, D-Rush Springs, who is leading the interim study and a petition drive for a ballot measure that would the finance the construction of school shelters with a $500 million bond. Coreslab Structures, a company that makes precast concrete materials for storm shelters, paid for the survey, and the results were analyzed by the SAFE Design Group, an architectural and engineering firm that built saferooms in Missouri after the 2011 Joplin tornado that killed 161. The firm’s Brian Orr said data show the most cost-effective way to build school shelters is during new construction. For example: if a school is planning a new library, cafeteria or gym, constructing it to serve dual-purposes as an above-ground saferoom. Copyright 2013 KGOU-FM. To see more, visit http://www.kgou.org.